The United States and the European Union have long held a strong partnership in agriculture, food safety, animal welfare, and animal health. Accounting for more than $40 Billion per year, the EU-U.S. trade relationship in the agri-food sector is the most important worldwide. And yet only a limited part of it currently concerns goods derived from animal production. This means there is room for improvement. At the European Union, we believe one of the best ways the EU and the U.S. can make these improvements is to focus on animal welfare. Animal welfare was once seen to be a limiting factor for animal production and agriculture in the broadest sense. This is no longer the case. 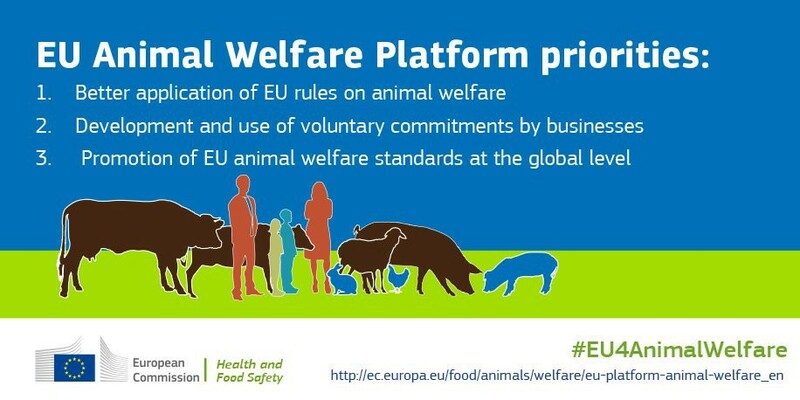 According to a recent report by the European Commission on animal welfare and its international impact, it is now seen as a long-term investment that brings opportunity to better valorize the added market value of products obtained under proper standards of animal health. Meanwhile, the international promotion of such standards also contributes to the long-term objectives of improving animal rights worldwide and reducing unfair trading practices. No matter where in the world you are, a happy animal is a healthy animal. At the European Union, we aim to preserve animal health by promoting what we call the “five freedoms” every animal must have. They are: freedom from hunger and thirst, freedom from discomfort, freedom from pain, freedom from fear, and freedom to express normal behavior. When an animal experiences these five freedoms, it contributes to the Global One Health Agenda and increases productivity at the same time. 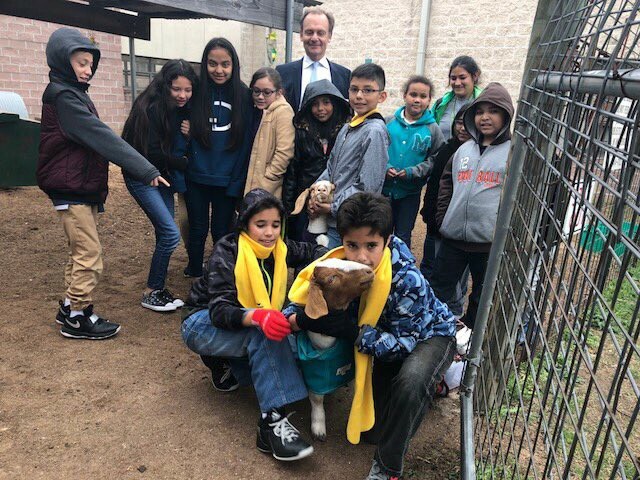 Human care for animals is everywhere — from members of the World Affairs Council to the children of Austin. 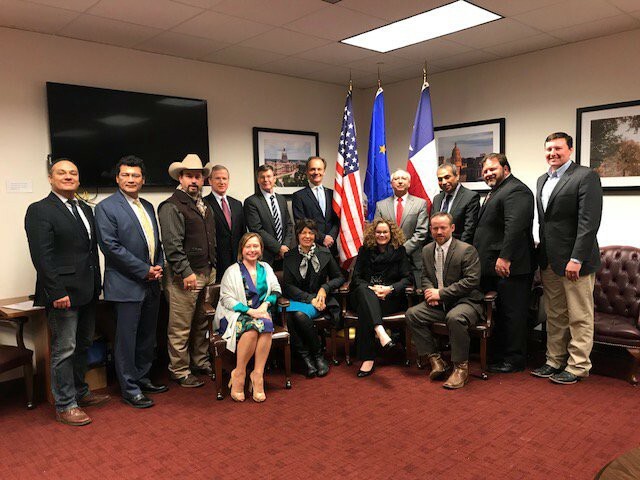 Last month, at the World Affairs Council in Austin, TX, we discussed how this EU policy on animal welfare had created a “lighthouse effect” over the past 20 years in the EU. In other words, it has served as a source of inspiration for players in the industry to voluntarily go above and beyond the minimum standard requirements. But this effect was not solely restricted to the EU, either. In fact, across both Europe and the U.S., several major players in the food chain have now opted to go beyond the International Standards set by the EU and the World Organization for Animal Health. For instance, a few large food service and grocery companies have now committed to replacing their egg supply with cage-free eggs over the next decade. The platform launched by the European Commission last January will continue to incite voluntary actions like these from business operators of the food chain. This shows that through trading, we also are able to promote our values. Over the past 20 years the EU and U.S. have focused primarily on trade, working constructively to find respectful, sustainable and consumer preference-friendly solutions to real and potential trade challenges. For the next 20 years, we hope to continue this collaboration but also to emphasize engagements in cooperating frameworks on animal welfare. Because no matter where you are, a happy animal is a healthy animal — and in the food system, healthy animals mean healthy people. It is therefore our hope that the EU and the U.S. will soon overcome any differences in their respective food systems derived from animal production, and that these become sources of enrichment and growth for both American and European people.